Save the Children, the leading organization investing in childhood, honored supermodel and activist Iman; gamer, philanthropist and activist Bachir Boumaaza aka “Athene;” writer and Red Nose Day co-founder Richard Curtis; and the organization’s philanthropic corporate partner Toys"R"Us at the 4th Annual Save the Children Illumination Gala. The event, which took place on Tuesday, Oct. 25, 2016, at The Plaza hotel in New York City, was hosted by Save the Children Artist Ambassador and Trustee Jennifer Garner, and featured a special performance by country music superstar Jennifer Nettles. • The Voice Award for Iman, Supermodel, Activist and Founder of IMAN Cosmetics, who was recognized for her enduring commitment to sharing the stories of the world’s most deprived children. While serving as our Artist Ambassador, Iman was tireless in her efforts to raise awareness for the 2011 food crisis in East Africa. By participating in our Fast-athon, using her jewelry line to raise emergency funds and calling on the international community to take action, Iman has given a voice to children who would otherwise go unheard. • The Next Generation Award for Bachir Boumaaza aka “Athene,” Gamer, Philanthropist and Activist, who was recognized for inspiring young gamers to make a positive impact on the world. Athene has visited our programs in Southeast Asia and Africa to livestream from the field while generating media coverage, brand awareness and millions of dollars to support our programs. His GamingforGood volunteer team, platform and network have connected thousands of gamers and streamers to our work, and transformed our approach to reaching the next generation of donors and fundraisers. • The Advocate Award for Richard Curtis, Writer, Campaigner, and Red Nose Day Co-Founder, who was recognized for pioneering the use of entertainment to drive positive change. As co-founder of Comic Relief in the UK over 30 years ago, Curtis has devoted much of his life to achieving the vision of a just world, free from poverty. Through innovative programs like Red Nose Day, that today engage millions around the world, he has helped direct billions of dollars and priceless public attention toward tackling the root causes of poverty and injustice. The Visionary Award for Toys"R"Us, being accepted David Brandon, CEO and Chairman. The company was recognized for their commitment to keeping kids safe and helping them in times of need in the United States and around the world. Through the Play with Purpose campaign, Toys"R"Us leveraged its brand to spotlight early learning through play as a critical component of childhood development. Since 2005, Toys"R"Us has contributed more than $9 million to Save the Children’s emergency response and early childhood education programs, demonstrating their commitment to children every day and in times of crisis. The event’s entertainment was provided by Grammy Award-winning singer-songwriter Jennifer Nettles, who has also won five American Society of Composers, Authors and Publishers Awards, two Academy of Country Music Awards and six Country Music Association Awards, among others. “We were thrilled to recognize such a diverse group of honorees who have done outstanding work with and on behalf of children around the world. It was a wonderful event and an amazing opportunity to highlight their important work and to celebrate their achievements. They have all committed their time and lent their voices to giving children a brighter future,” said Carolyn Miles, Save the Children president & CEO. Other notable guests in attendance included Dakota Fanning, actress and Save the Children Artist Ambassador, Michiel Huisman, actor and Save the Children Celebrity Cabinet member, Bridgit Mendler, actress, singer/songwriter and Save the Children Artist Ambassador, Sara Sampaio, model and Save the Children Celebrity Cabinet Member, Ryan Serhant and Emilia Bechrakis Serhant (Bravo’s Million Dollar Listing New York), Alix Angjeli (Model), Juana Burga (Model), Gracie Carvalho (Model), Rubina Dyan (Model), Madison Headrick (Model), Bregje Heinen (Model), Caroline Kelly (Model), Paige Reifler (Model), Cate Underwood (Model), among others. 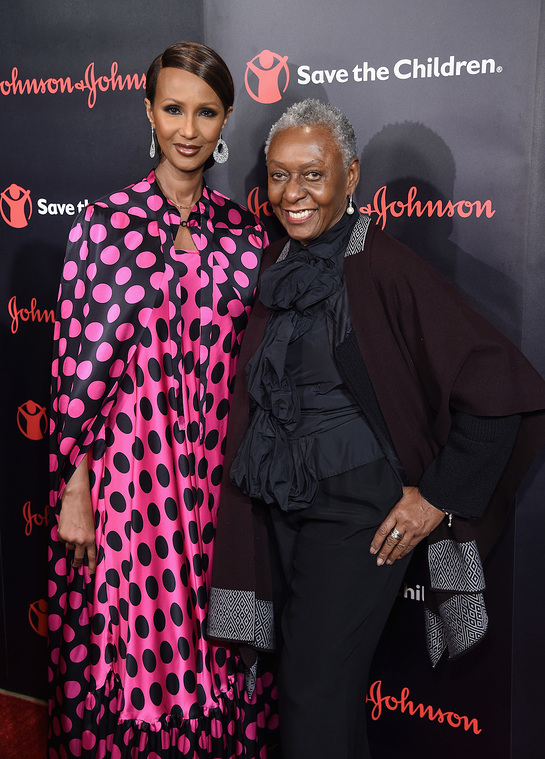 Gabriela Hearst, fashion designer and philanthropist, and Mary Dillon, Save the Children Trustee and CEO of ULTA Beauty, served as co-chairs of the 4th Annual Save the Children Illumination Gala. The gala was presented by Johnson & Johnson.